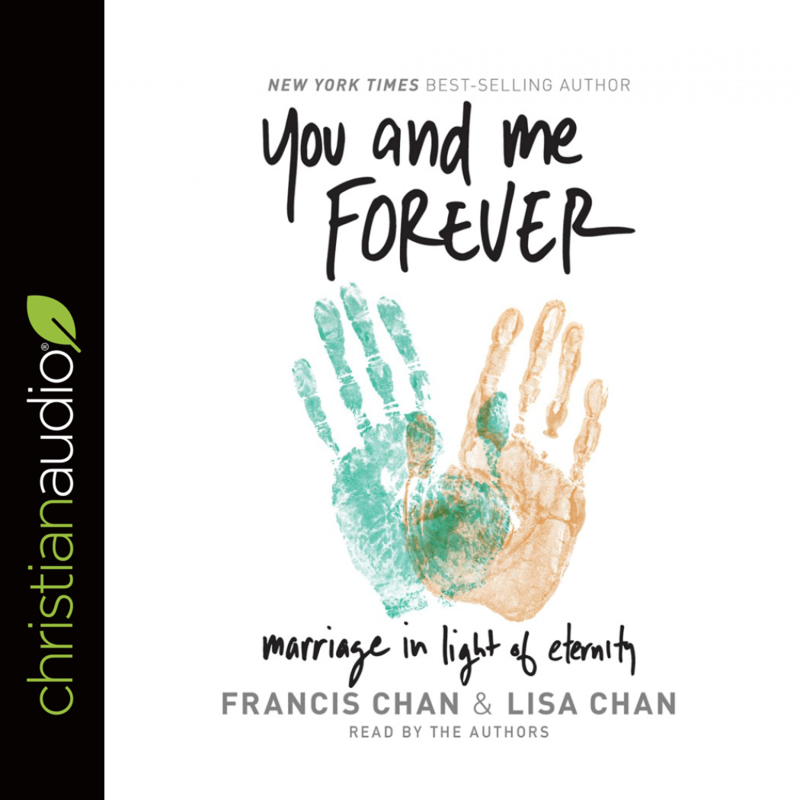 You and Me Forever by Francis Chan and Lisa Chan Audiobook Download - Christian audiobooks. Try us free. One of the best things I've ever listened to. Absolutely worth your time and money. Wow! Just wow! Wherever you are in your marriage - or just plain life - You and Me Forever is an important book to read. I am always challenged by Francis Chan to walk closer and hold to the teaching of Christ, keeping ever before me the mission. Your spouse does not need to read the book, if they would not be inclined to do so as you can put to action all that has been set forth and make a difference. I will be rereading this book a few times. Before I forget, Francis & Lisa felt that God was calling them offer this book for everyone regardless of financial resources and said you can go to meandyouforever.org and download a free copy. it was their desire that everyone be able to read the book and pass it along. We can appear differently than the natural world around us, if we choose to live out our calling. I highly recommend this book in love and with my eyes focused on the goal. This is life changing. I’ve listened to some of these chapters two and three times, each getting something new out. Get this book today. Francis & Lisa Chan have so beautifully written (spoken) the way we present the Gospel to the world around us through God's creation of marriage. This book has helped us shift the paradigm of marriage for my husband and I. Beautiful message for both people to look to Christ together, but it seemed to brush over other practical aspects. Instead of being a book focussed on couples, my eyes were drawn upward. I learned that I could not love my husband properly without loving my Lord with all of me. I thought I loved Him already, but this book taught me about how much He actually loved me causing me to fall in love with Him in a new way.